It is the twist of life. While many spend their whole life pursuing a career in acting, seeking the prestige, fame and wealth that comes from being a member of Hollywood’s elite, for others, it is the career they have had to settle in because they couldn’t make it in another profession or were discouraged from pursuing another career. The later is the fascinating story of Steve Howey, who through his father’s insistence and influence, became an actor despite the profession being an initial of no interest to him at the onset. He may not be in the profession he originally wanted for himself, but he has done quite well in the profession he has found himself. Steve currently stars in Shameless, the Showtime hit series as Kevin Ball. Learn more about the actor below. Los Angeles, California is the home of Hollywood. Actors from around the country come to the Mecca of filmmaking to build their careers and Steve Howey is one of them who joined the rest of the pack from Denver, Colorado. He was born in San Antonio, Texas on the 12th of July, 1977 but was raised in Colorado by his parents, Bill Howey and Carla Howey. Through his father, who is an actor and an acting coach, Steve Howey developed a passable interest in acting and it remained one while he completed his education through high school in Colorado High School till Northeastern Junior College in Sterling, Colorado. Before he got enveloped in the life of reading scripts and being at film auditions, Steve Howey, at a simpler time in his life was a basketball prodigy who attended college with a basketball scholarship. After two years of being the darling of hundreds of people on a basketball court, Howey set out to become a darling of the people on TV earning his first official acting credits on the film, Class in 1998. After his first film, Steve Howey’s subsequent appearances were in television, for shows like Pacific Blue, Totally Tooned In, Get Real and the popular ER and The Drew Carey Show. A couple of years after appearing on television, Steve Howey returned to the big screen in 2005 with Supercross, playing K.C Carlyle. He followed it up with an appearance in DOA: Dead or Alive as Weatherby and in Bride Wars as Daniel Williams. Steve’s career has seen him featured in several notable television shows like Psych, Surviving Suburbia, and Twins. He also stars on Shameless, as Kevin Ball, the show has been on TV since 2011. 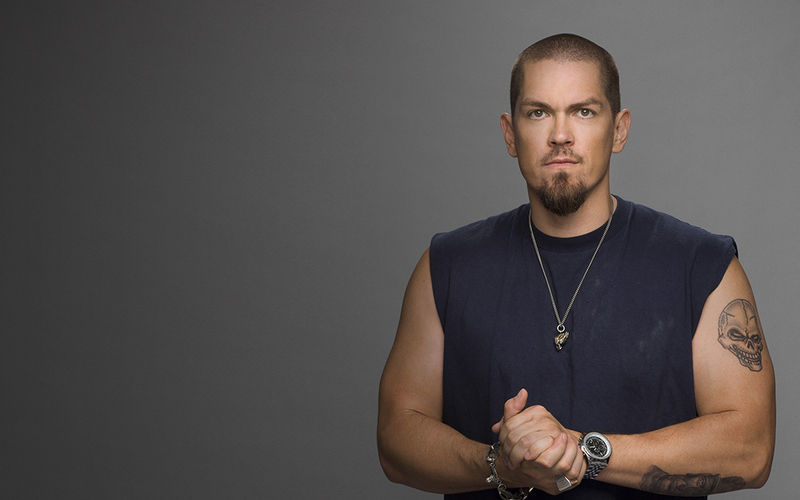 His character on the show has brought Steve Howey to the forefront of the talent roll of Television actors through the quality of his performances and the show’s mainstream popularity. More recently, he has also had roles in New Girl, Workaholics, Law & Order: Special Victims Unit and SEAL Team. Back in Film, his recent works include In Your Eyes, See You in Valhalla, Love on the Run, Unleashed, Game Over, and Man! An achievement that is not in the form of awards of financial compensation is Steve Howey’s luck of playing the love interest of the beautiful Kate Hudson in not one, but two films – Something Borrowed and Bride Wars. Steve Howey is a man who is dedicated to physical fitness. Some of his favorite past times, when he is not in front of a camera includes riding his bike, playing basketball and swimming. As a result of his upbringing, which saw him get raised in a boathouse, Steve Howey loves boats, a fact that was acknowledged by his wife when she hosted the actor’s 40th birthday on a boat. Steve is also a known investor, who has investments in companies like Opkix. Wife and Kids, or is He Gay? Steve Howey is not gay. He is a totally straight man with a wife and kids. He is married to Sarah Shahi, who is also an actress with an expansive resume that includes Person of Interest and Fairly Legal. The couple got engaged to be married in 2007 and tied the knot on the 7th of February, 2009. The couple currently has two children, a son, and a daughter. Net Worth – How Much is Steve Howey Worth? A career that took off in 1998 and has continued to exist to date has helped Steve Howey build a modest net worth of $2 million. He enjoys his wealth with his family in their Los Angeles home. He is currently raking in steady paychecks on Shameless as the character, Kevin Ball. As mentioned earlier, Steve likes to keep his body fit. Steve packs an athletic fit body with well-defined muscles that allow his arms, chest and biceps tattoos shine. At a height of 6 feet and 4 inches with a body weight of 84kg, Steve is a tall muscular man with body features like hazel colored eyes and dark brown hair.